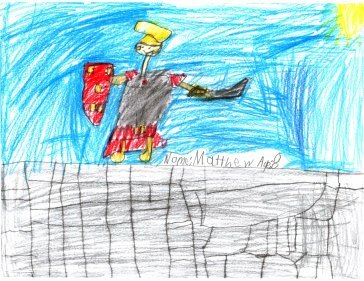 Hadrian's Wall is a 84 mile long wall that built in Northern England by the Roman Emperor Hadrian, to keep the Scots out of the Roman occupied lands. Despite being nearly 2000 years old, many parts of the wall are still standing today, and can be visited and even walked along. This poem for kids by Jon Bratton and Paul Perro celebrates the great wall of England. When you have finished reading the poem, if you would like to find out more about the wall, please scroll down a little further. They didn't want Scotland though. Did not get on at all. The Romans built a wall. To the Newcastle in the east. But the wall gave him lasting fame. It couldn't have been the weather. Would be a fair thing to say. And is still standing today. People come to see it. You can almost guarantee it! The Romans invaded Britain in 43AD, conquering England and Wales, but not Scotland. Scotland was home to the warlike Picts and Caledonians, whom the legions had not been able to subdue. When Hadrian became Emperor in AD 117 he wanted to consolidate the empire, not expand, and built several walls in different countries and continents, including northern England. 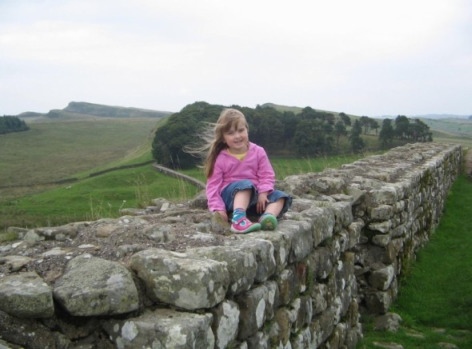 Hadrian's Wall was 73 miles long, 8 to 10 feet wide, and took 6 years to build. Many soldiers and their families lived in settlements just inside the wall. In AD 197 the wall was overrun by the barbarian Picts from the north. Many of the forts had to be rebuilt. Angles and Saxons - pirates from Northern Germany - started to attack farms and villas in south east England. In AD 285 the Romans started to build more walls and fortifications along the coast. Eventually they stretched from Norfolk all the way down to Isle of Wight. The Romans called it the Saxon Shore. When the Angles and the Saxons started attacking the Empire all across Europe, the survival of Rome itself was threatened. In AD 407, the army was called back to Rome; the wall was abandoned, along with the rest of England. Hadrian's Wall is still intact today in many places, and can be walked along for much of its length. It is the most popular tourist attraction in Northern England.